It doesn't matter what time of day or night you ring - we have trained operators working round-the-clock waiting to take your call. How many people are at the property where the smell is most noticeable? How long the smell has been noticeable? Is the smell coming from the cellar/basement? Getting accurate address details is very important as we want to make sure we send engineers to exactly the right place. You will be asked to verify these details for this very reason. Your address and postcode are particularly important. Once we have made the property safe, our engineer will explain that any work on appliances (e.g. cookers, boilers or fires) has to be carried out by a Gas Safe registered engineer. To find a Gas Safe registered engineer in your area, please visit the Gas Safe Register website or call on 0800 408 5500. If someone has collapsed or is displaying severe symptoms, seek medical help by calling 999 or 112. 2.Has there been an incident in your area? 3.Has there been an incident in your building? or alternatively, call us on Freephone 0800 111 999. We all want our homes and families to be safe. However each year, thousands of households are affected by emergencies involving gas and carbon monoxide (CO). Find out more info and watch videos about how to be safe at home, watch over your family and neighbours and be safe when on holiday. If your work brings you (or could bring you) into contact with our assets and equipment, the information, resources and services on this section will help you to stay safe. 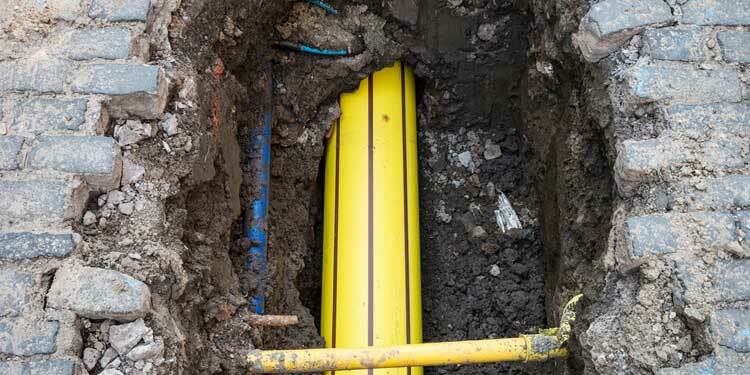 It also provides you with information on how to locate pipes, who to contact and timescales for a free markup service.